You might have heard of the Teacup Chihuahua, but what about the apple head Chihuahua and the deer head Chihuahua? Feeling confused? Well, don’t worry. 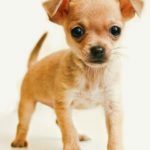 Here is a breakdown of what category these Chihuahuas fall under, what they look like, and the differences between them. 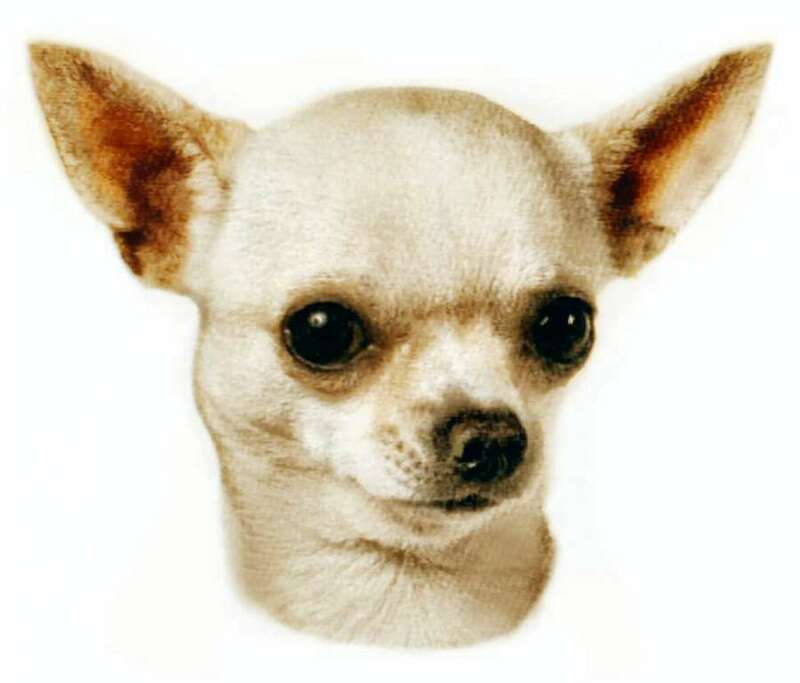 What do Deer Head Chihuahuas look like? Let me start by saying that we’re talking about some physical variations inside the same breed. 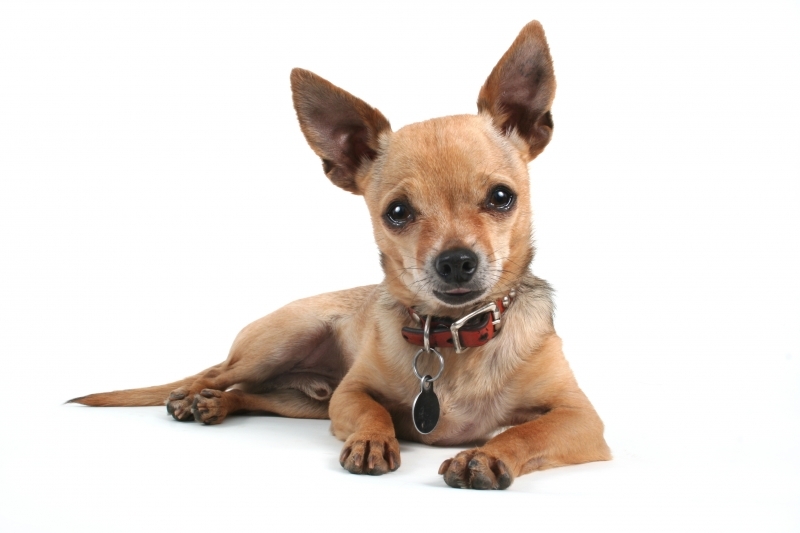 No dog club recognizes these types of Chihuahuas as a separate breed or sub-breed. 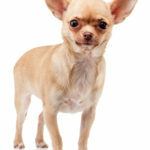 The AKC lists two types of Chihuahuas: smooth (short) haired and long haired, and in either category, the Chihuahua may be an apple head or deer head. 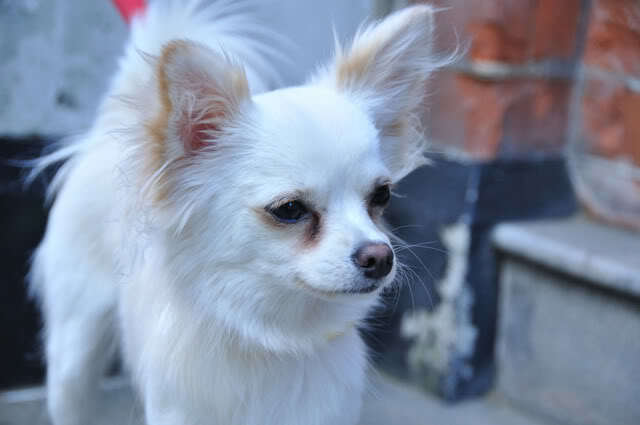 The terms ’deer head’ and ’apple head’ are simply descriptions of the shape of the Chihuahua’s head, just as the term ‘Teacup’ is used to describe a Chihuahua who is very small. 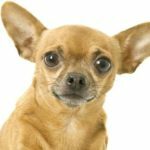 Sometimes these characteristics are not visible from early ages, so the best way to know what your Chihuahua is going to look like is by seeing her parents. 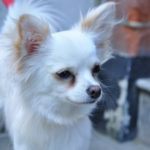 The American Kennel Club describes the standard Chihuahua as having a “well rounded apple dome skull”, so owners who want to register their dogs for shows and competitions must have an apple head Chihuahua. 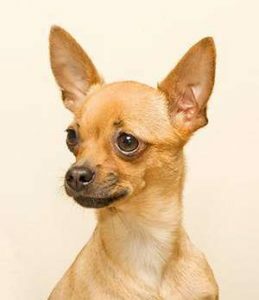 If you’re just looking for a companion, however, a deer head Chihuahua is still a Chihuahua. So don’t let the breed standard stop you – I personally think a deer head have a real charm! This is a consequence of the fact that deer head Chihuahuas don’t need to stay below the 6-pound weight limit stated in the standard for the breed, as they don’t qualify for competitions anyway. So, breeders haven’t been too preoccupied about keeping her small. 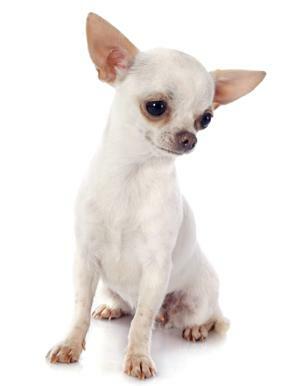 A Deer head Chihuahua sometimes have longer legs and their weight can reach up to 12 pounds (5.4 kg). Deer heads has an average height of 8 to 12 inches. Apple head Chihuahuas, on the other hand, tend to be a little longer rather than taller, and they usually maintain their weight under 6 pounds. 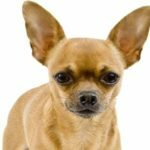 Some Chihuahua owners claim that deer head Chihuahuas are more obedient and have nicer temperaments than apple head Chihuahuas. However, there’s no scientific evidence or statistics to prove this statement. 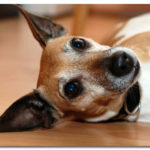 The way you train your dog influences her behavior, not the shape of her head. 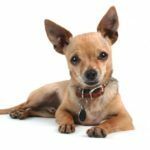 Deer head and Apple head Chihuahuas can both make great pets, and both need equal amounts of obedience training sessions and early socialization. 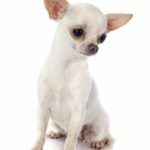 Chihuahuas are generally healthy dogs and if given good and serious care, the life span of a deer head is between 15 and 20 years. 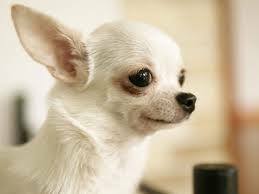 Apple head Chihuahuas are more prone to these respiratory problems due to their shorter noses. 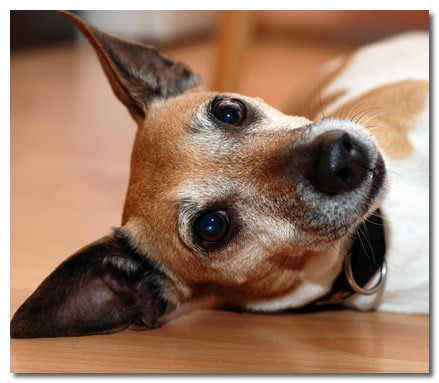 They can suffer from upper airway problems like reverse sneezing and tracheal collapse. 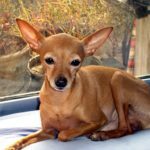 As the deer head Chihuahua has a longer muzzle and a larger, less fragile trachea, she tends to suffer less from these breathing troubles. 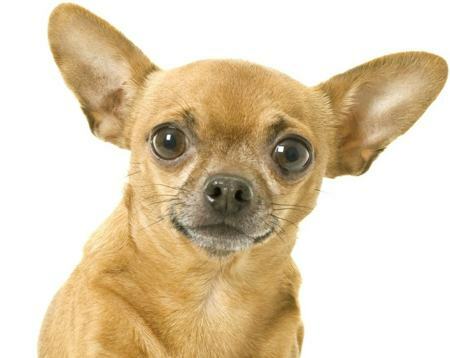 Deer head and apple head Chihuahuas are the same breed of dog but with different looks. 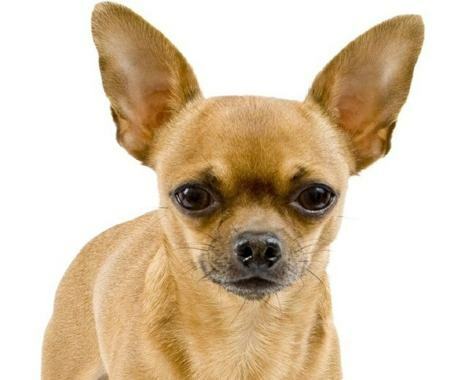 The apple head Chihuahua has a very rounded forehead and is usually much smaller in size, while the deer head Chihuahua has the face shape of a fawn, and is usually larger in size. 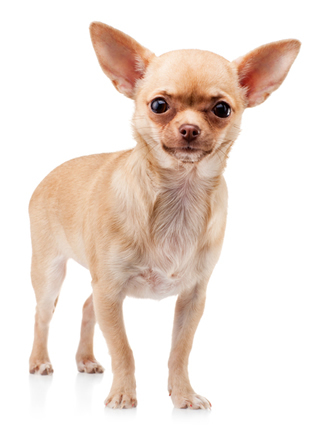 Deer head Chihuahuas do not meet the AKC standard for the Chihuahua and therefore cannot be used in shows. They tend to suffer less breathing problems than apple head Chihuahuas. There’s no proof that one or the other makes a better companion. 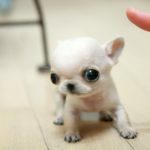 In my opinion, these both chihuahuas are perfectly fine choices, and both need just as much training and socialization to make her into a sociable and companionable pet. 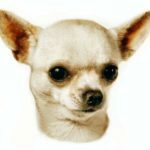 Which Chihuahua do you like best? 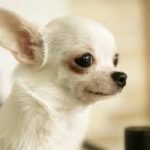 If you have one, what does your Chihuahua look like? Let us know in a comment below! My Eleven year old Chihuahua is a deer head. I prefer the deer head because they are larger and very muscular. She is my baby. I adopted a deer head girl and she is lovable, she came from a hoarder home so she is really scared. She loves me and trust me and won’t go with my husband. I have grown to love her she is special girl. Dear heads are healthier, just buried my 20 year girl and I have 5 year old apple head with more breathing problems,, so you are right.. I miss my baby! Forgot to mention my 5 year old apple head weighs 8.5 pounds and is not fat?? Have a 5 yr old female Applehead Chi and a 5 month old male Deerhead Chi. My little girl has the respiratory issues mentioned in the article, but still very healthy. My little boy hasn’t had any of the the sneezing, wheezing, or collapsed trachea. They both are loving, funny, and have sweet personalities, but my Applehead is more cautious and territorial when it comes to strangers, whereas my Deerhead doesn’t meet a stranger. Our sissy is a 10 lb Deer Head Chihuahua , tall & lean very smart, very protective. She is about 5 years old, no health issues. We love her dearly. I have a deerhead and apple head . Both are 5 yrs old and about 2 weeks apart…my deerhead definitely has a better temperament while my apple head will bite if anyone gets too close to her! My deerhead loves people! They are my babygirls and I love them both sooo much!!! My name is Lori I have a long haired chihuahua/rat terrier mix she is small 11yrs old her name is Maya also a chihuahua/rat terrier mix name Rocky both rescues Then I have a chocolate/tan applehead chihuahua named Reece my new puppy ‘s parents were deerhead mom and applehead dad she is black/tan her name is Angel she looks like she is a deerhead. My applehead is somewhat aggressive. My babies could not live without them. I don’t know which variety I prefer, because I’ve only ever had my little deerhead boy. 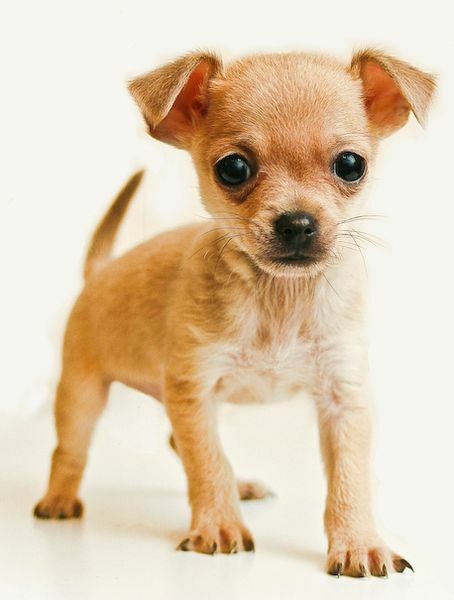 But I do know that everyone who meets him is very surprised that a Chihuahua can be so calm, friendly, and easygoing. Last night at a laser and fireworks show (yes, he is even fine with those as long as I hold his ears if they go off close by), he spent about an hour greeting everyone and even jumped up on some random lady’s lap for cuddles. And thunder seems to relax him, just like his mommy. I’ve never seen him nip at any person or animal, and he likes all dogs and even cats. But he will still alert me if someone comes close to the house or if something makes a weird sound. I’m very proud of him and love him so much! Our little deer head girl Hollie is about 5 lbs now, at about 21 months old, and she is so pretty and elegant, and has a loving personality with her people but is a little bully to her 10 yr. old “brother”, a gentle Cavalier King Charles Spaniel who puts up with much ear-biting and other abuse from her. She is not very trusting of strangers, though, and takes a long time to warm up to new people and situations. 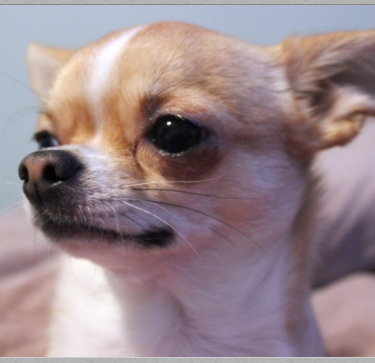 I never thought I would want a Chihuahua before we got her from a local toy dog rescue organization, but she is a constant joy in our lives, and very smart and obedient. We have a beautiful apple head! She was well socialized as a pup and loves everyone!!! Having always been a large breed owner (boxers…) my 11 year old 5 lb baby girl is the joy of our family! I have a 1 year old male long haired deer head who weighs 4.4 pounds. 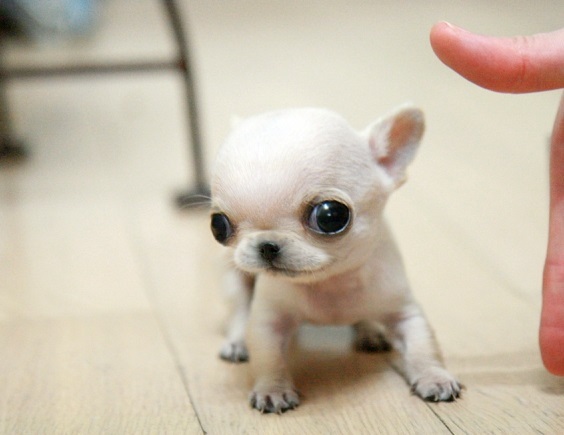 He is very delicate in build … wondering if he could be a teacup? We adopted him from the Humane Society but he appears to be purebred. We got him at 5 months d when he weighed 2.8. He has the sweetest temperament and a tiny bark that I’ve only heard if he’s playing. He loves every person and animal he meets!!! I have a 7 month old deer head chihuahua and she is the love of my life. She is a certified therapy dog for mental and emotional support. Separation anxiety is the only problem I can’t seem to fix. She knows she is my companion and she takes her job very seriously! My Bentley is a rescue. He is a deer head Chihuahua pug mix. He looks totally like a deer head Chihuahua with a very long legs but his little teeth stick out like a pugs. He is very affectionate and very possessive of me. He is my baby and rescuing Bentley from an animal shelter was the best thing I ever did. I have an almost 4 yr old deerhead chihuahua … Mademoiselle…she is a rescue. Mademoiselle is my ‘child’…follows me everywhere I go. She is sweet and loving but when there is a visitor I make them hold her for a couple of minutes, that’s the only way to stop her from barking at them 😉 She weighs in at 10.1 lbs and is very very healthy … I previously had a long hair, Nadalee, who lived to be 17 years old. 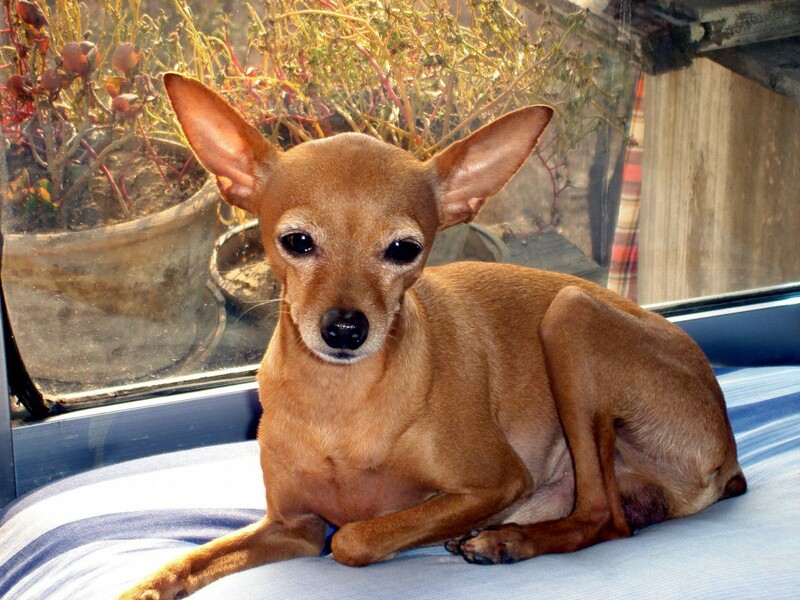 I have had two deer head chihuahuas; both were female, short haired, & fawn colored. Both had decent to good socialization skills & are very cuddly/snuggly types. My first, Honey, would try to dominate larger dogs and would assume alpha w/ submissive dogs. I saw her dominate and make large no-neck pitbulls cower. I also saw her be very a protective pack leader of submissive dogs. HOney maxed out at 11lbs. She was very snuggly, but would give calm low side growl warnings when agitated. She died at age 12 in an unexpected accident. My second, Daisy, is 5 months old and 5lbs. She is still growing and her max size is yet undetermined. Her temperament is sweet, but she also gives calm side growls when agitated. She is very playful w/ all dogs of all sizes, but stands her ground whenfeeling threatened. Both dogs were very loyal, quiet, and only barked when their was a true security need or were trying to play w/ other dogs. Both also had the independence of a cat, almost like they didn’t need me, but instead chose to be w/ me. Honey was from New Mexico. Daisy was from Texas. Both were adopted from shelters. I love this type of dog. Neither had any serious health problems, but Honey did have a funny sneeze that would kick out a leg and make me laugh. Both could runn really fast. So fast that they could both barrel roll themselves out of running in a tight circle. I have an apple head with very long fast legs… may have some deer in her somewhere. She’s a rescue so I don’t know her specifics. She’s 3# of sassy bossy sweetness ❤️! I also have a chorkie, at least I think he is! He weighs 3.25# of “ kiss me once then kiss me again complete ❤️! Personally I am the definition of the crazy cat lady who has dogs, and I love all of them. The dogs are smaller that any of my cats!!! My apple head chi is 15 years old and simply one of the best dogs I’ve ever had!